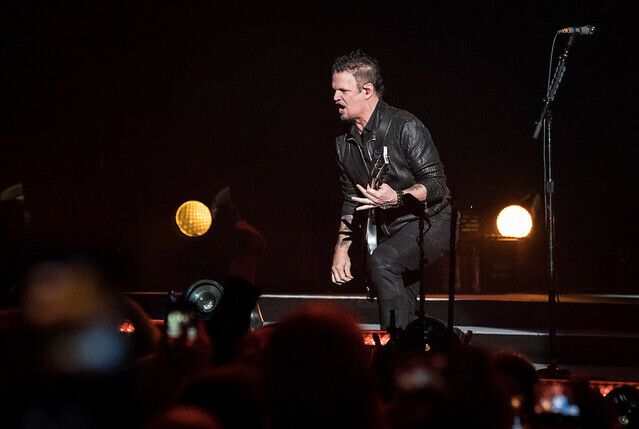 Disturbed’s Powerful Evolution Tour Hits Madison Square Garden Reviewed by David Zeck on February 26, 2019 . 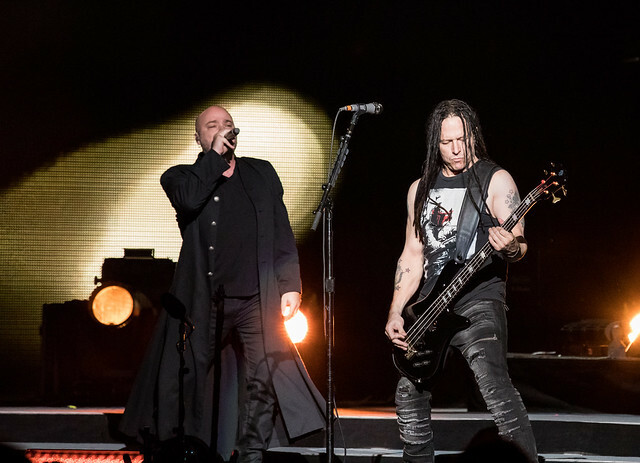 Hard-Rock/Metal outfit Disturbed have returned, with both a new album and tour. 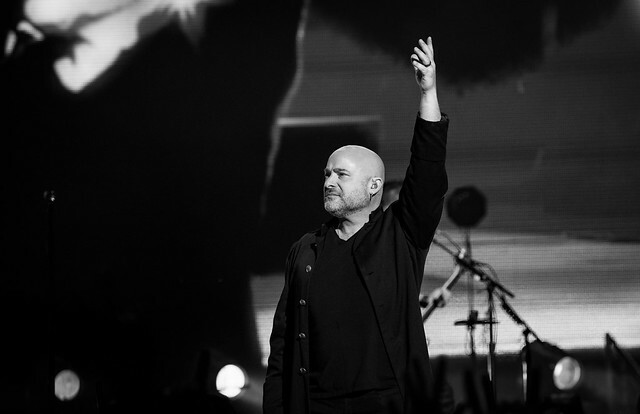 After years of silence David Draiman and company end their three year hiatus with the 2018 release of their seventh studio album Evolution. 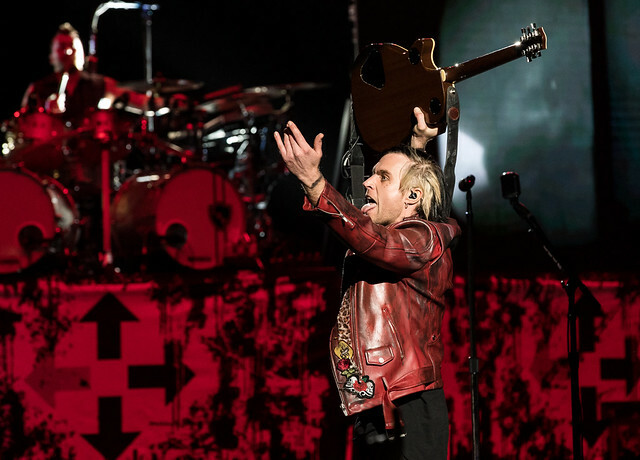 An album that shows even after a break, the band has no intention of going anywhere nor have they lost their ability to capture an audience whether-it-be on record or live. 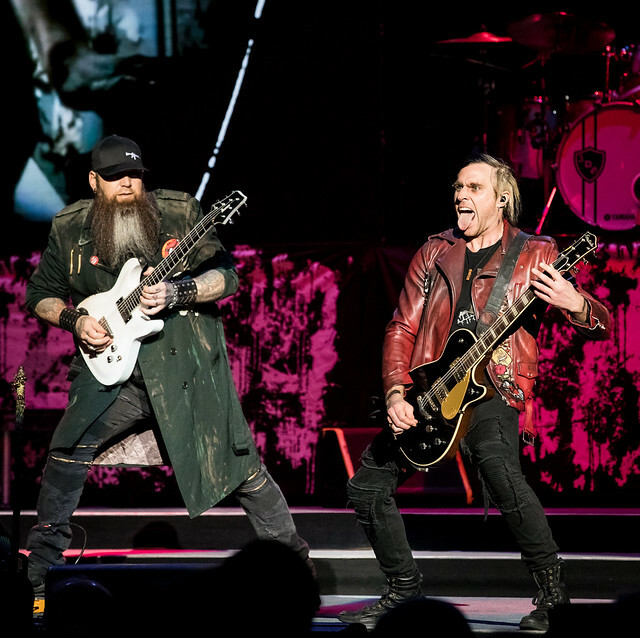 Evolution showcases just that, how much the “Down With The Sickness” rockers have evolved and matured throughout their career. 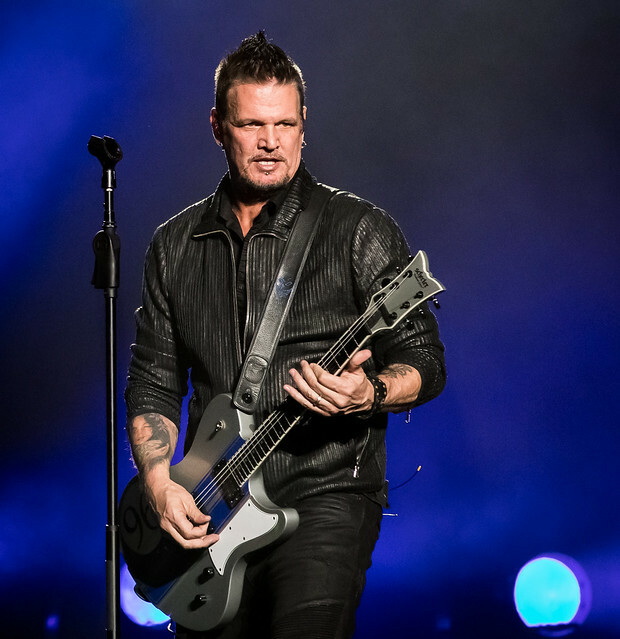 However don’t take that as they’ve changed their sound, rather the band has fine tuned the music and created something refreshingly unique while still maintaining the band’s signature raw energy and passion that they’ve always put into their songs. With the album comes the Evolution Tour, in fact it’s one of their biggest yet. 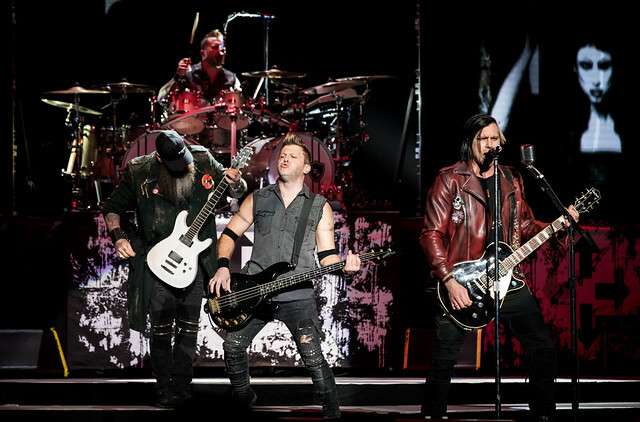 Support for the bill is Three Days Grace, who are out in support of their latest record Outsider. 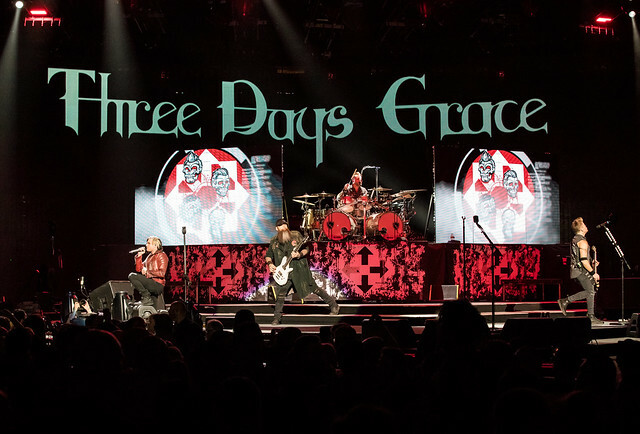 The bands sixth release shows how much Three Days Grace have honed their sound and branded their electronic and hard-rock blend. 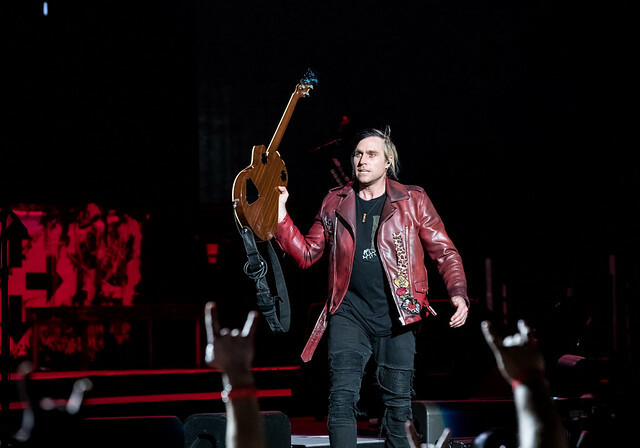 Outsider also marks the second album with My Darkest Days vocalist Matt Walst which has given the band a new ability to create larger than life sing-along anthems. 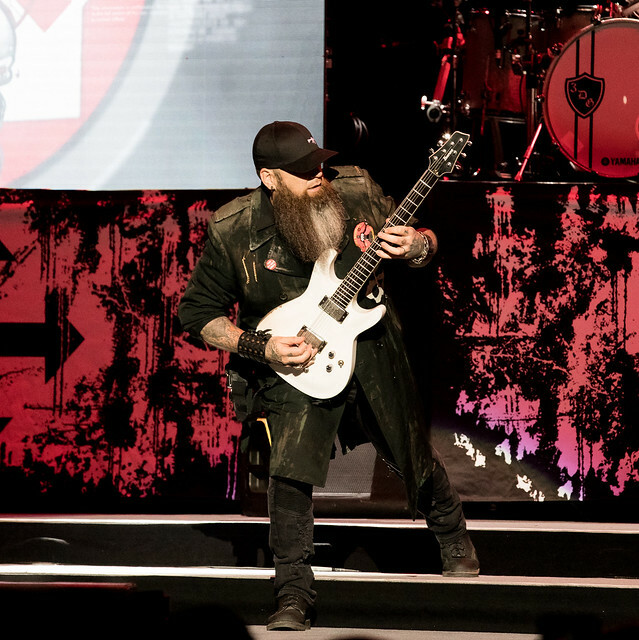 The tour which has been packing arenas across the states, made its way to one of the most historic venue on Monday night. 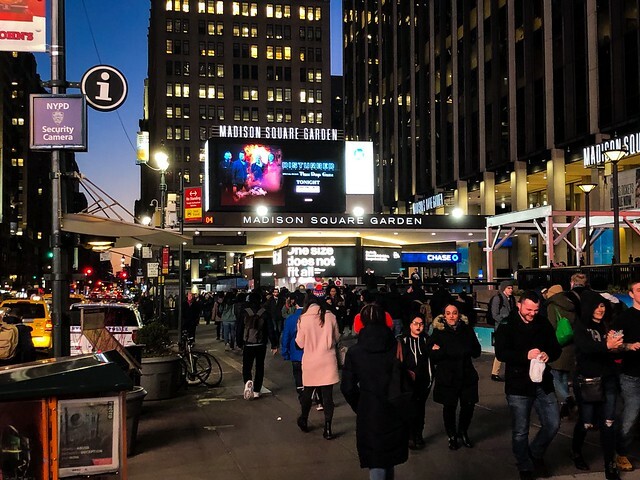 I made my way out to New York City to catch The Evolution Tour at “The World’s Most Famous Arena” Madison Square Garden. 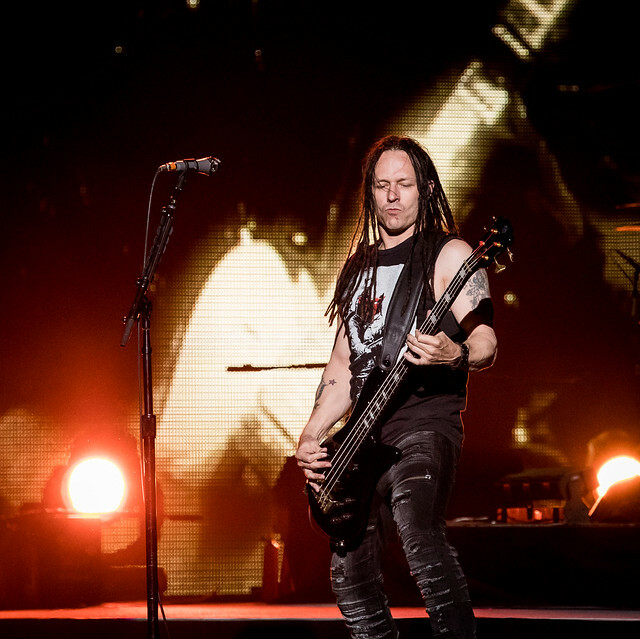 For musicians of every genre, there is a common goal among them — to play MSG. Disturbed are not only playing The Garden, they’re headlining it. 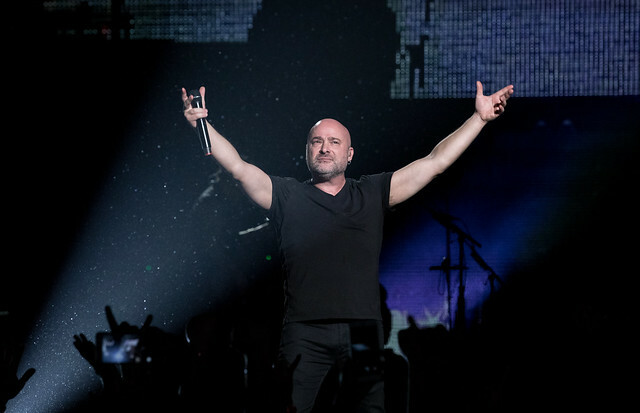 An accomplishment only a handful of rock and metal acts have achieved, further displaying Disturbed’s importance to music in 2019. 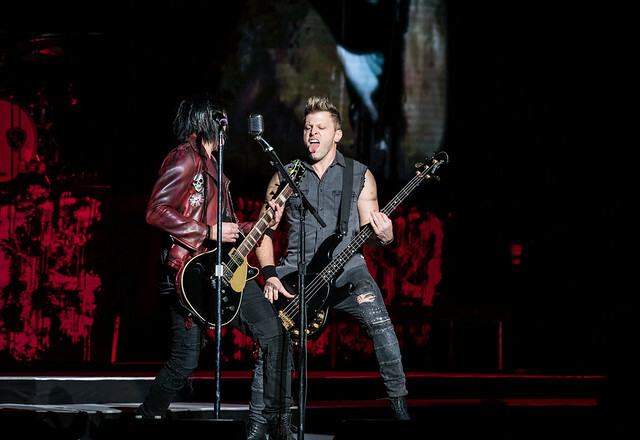 Starting the night off was Three Days Grace, the band took the stage to a packed house and got the crowd off their feet putting on a high energy performance. For only being a two band line-up, they were the perfect way to kick-off the evening. 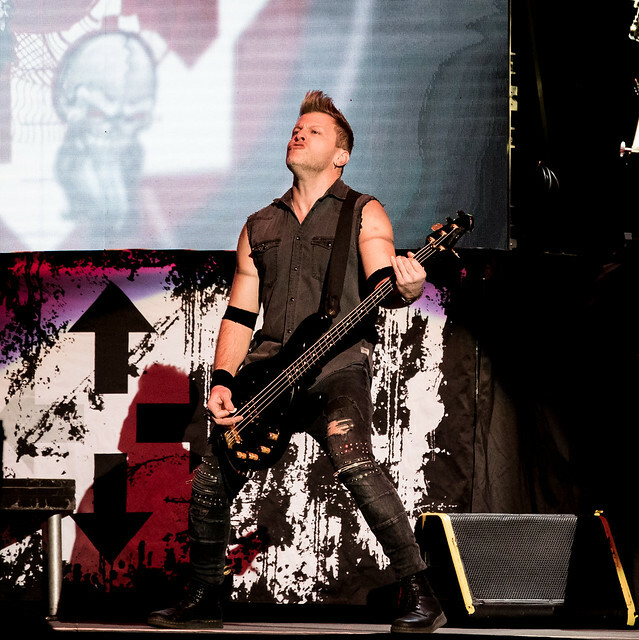 From the start of their set the band didn’t slow down performing with the high intensity they’ve become known for. The crowd absolutely loving it and could be heard singing along to favorite tracks that included the hits like “Pain”, “Animal I’ve Become” and “Riot”. Tons of sweaty crowd surfing and intense moshing was happening across the floor of the Garden, with fans getting ready for the headliner. More than ready! 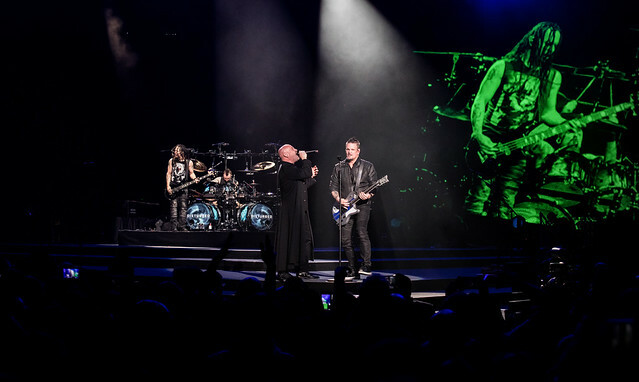 As Disturbed took the stage to close out the night, Draiman immediately took command over the nearly sold out arena. His charisma shines as bright as the stage lights from the first-song of the set “Are You Ready”, the answer from the audience was absolutely! Throughout the bands two hour, heavy hitting set Disturbed housed a variety of theatrics including some pyro during the track “The Vengeful One”, but they also give long time band members, bassist John Moyer and drummer Mike Wengren, the chance to showcase their talents through impassioned solos which break-up the tone of the show nicely. 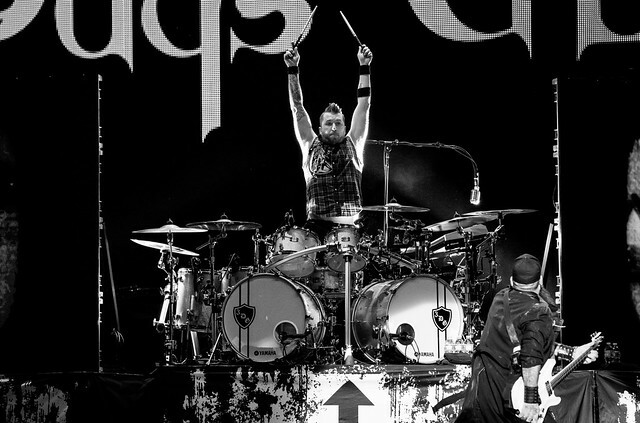 Disturbed have been believers in the powers of music and its ability to heal. A sentiment maybe more important today than ever before. Draiman and company have always accredited music should unite people and live shows should be a safe space for fans and musicians to be together and create unity. 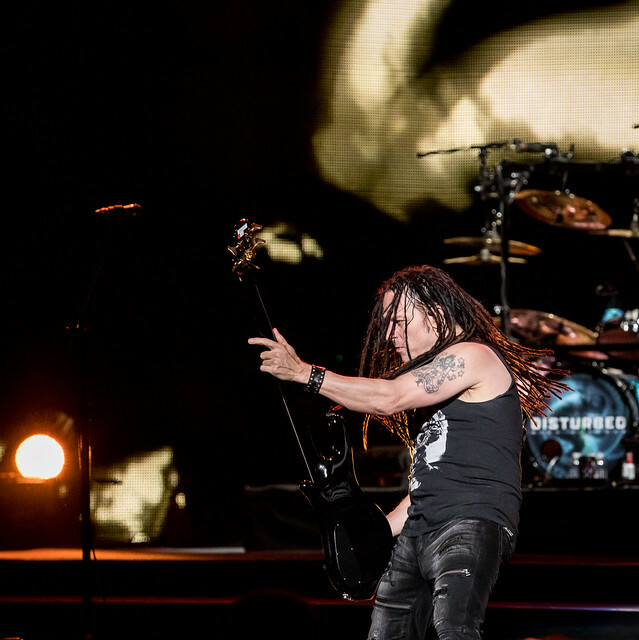 In the middle of the already stand out set it’s impossible to ignore, the effect that recent and alarmingly more common tragic events that have taken place in the music industry with the loss of Disturbed’s friends and colleagues, many who they have shared the stage with many times. I found it to be a beautiful and powerful statement, when the band took time to acknowledge the the passings of the pioneers within rock music which included Linkin Park’s Chester Bennington, Hellyeah and Pantera drummer Vinnie Paul, Stone Temple Pilots and Velvet Revolver’s Scott Weiland and of course Chris Cornell of SoundGarden and Audioslave. 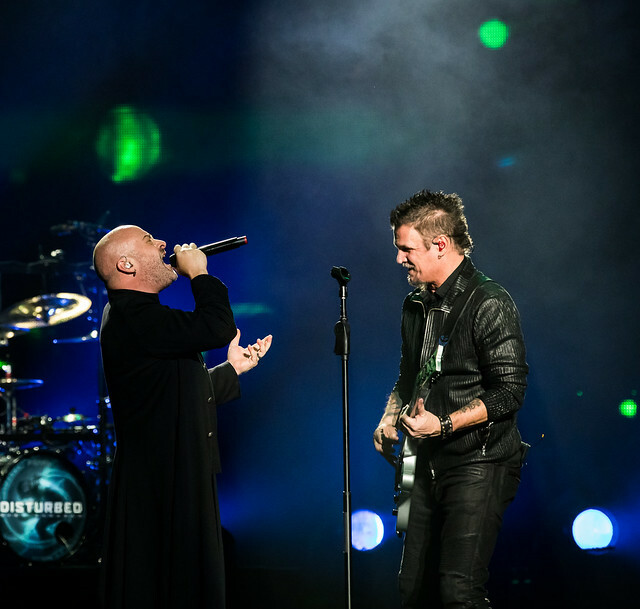 It was so real and so powerful that Disturbed performed a tribute to honor those mentioned above, those who have been taken too soon. The touching tribute was filled with high emotions as you felt like you could cut the air in the arena during the performance of “Hold On To Memories” . The song featured a slideshow of images spanning through the history of the bands existence. Fans were seen with their heads down and eyes closed, while others can be seen with tears dripping down their cheeks. It was a moment in the set, that was truly unforgettable, a moment so heartfelt being shared by 18,000 people under one roof there is honestly no real way to describe how beautiful it really was. 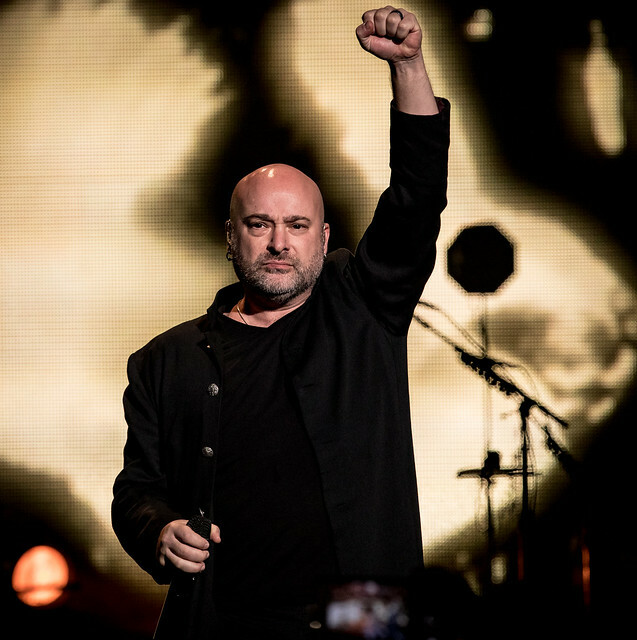 Following the song was a message from vocalist David Draiman, telling the nearly sold out NYC crowd that help and assistance is out there for those in need of it, showing numbers for the National Addiction hotline and the Suicide Prevention hotline. The band’s tribute continues when they relocate to the b-stage towards the back of the arena floor. The smaller stage decorated with burning candles and a carpet making the setting more intimate and getting closer to the fans as they performed the fitting “A Reason To Fight” and “Watch You Burn”. 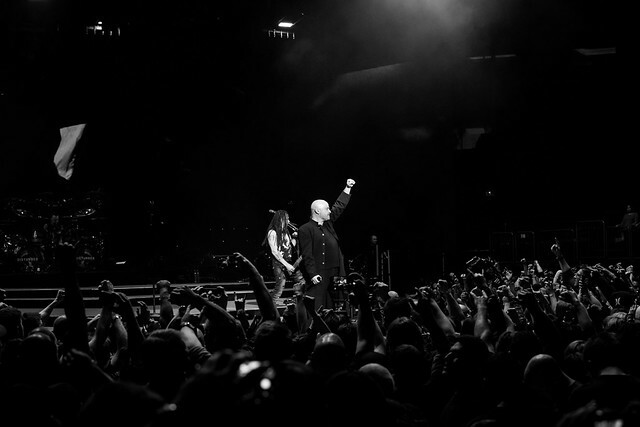 Throughout the bands performance there are a ton of special moments, Draiman’s showmanship has reached new heights and the large stage which extends into the sea of bodies allowing for more crowd interaction than normal. Aside from the insanely moving tribute another highlight that will give you chills, is during Disturbed’s Rendition of the classic “The Sound of Silence” which was met with the introduction of a flaming grand piano and cellphone lights illuminating the entire venue. The set is packed with pyro from all directions and is visually stunning. Disturbed find a way to perform favorites from throughout their catalogue blending themes which span from darker and angry material to violent themed tracks from their earlier records but then seamlessly switch to more positive, uplifting, softer and inspirational material. The two-hour-set shows the band extensive discography and their ability to do it all and do it well! I highly recommend to any fan of the band and really any fan of heavy music. The show is about love and unity and overcoming life’s challenges together, you will leave feeling hopeful for the world and for the future of mental health awareness. The production is top-notch and will keep you locked in and focused through the entire show. The performance from both acts features a little of something for everyone. The crowd in New York City, felt like a giant family. 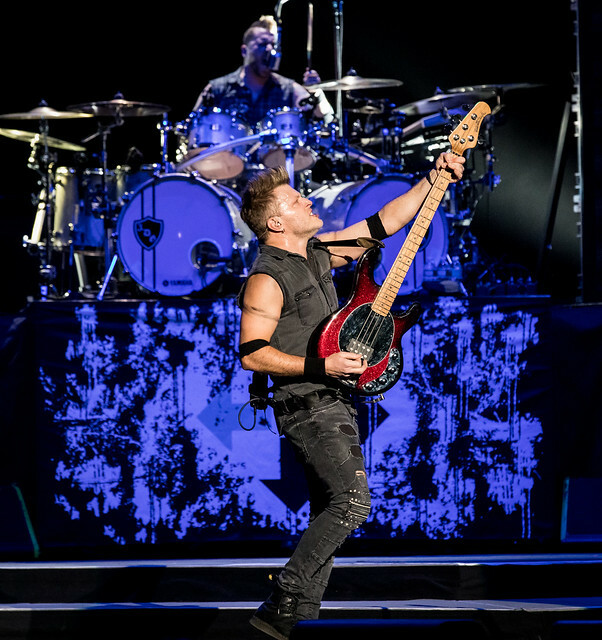 Something not easily accomplished in the concrete jungle, Disturbed are not only bringing you a tour, they’re bringing you a once in a lifetime spectacle. 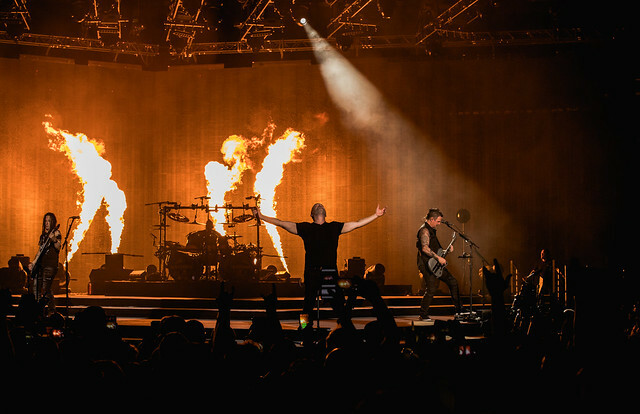 Check out the full list of tour dates on Disturbed’s official website. If you or someone you know is struggling with addiction or depression, there is help, please reach out! Reach The National Addiction Hotline at 1-800-662-4357 and The Suicide Prevention Hotline at 1-800-273-8255.